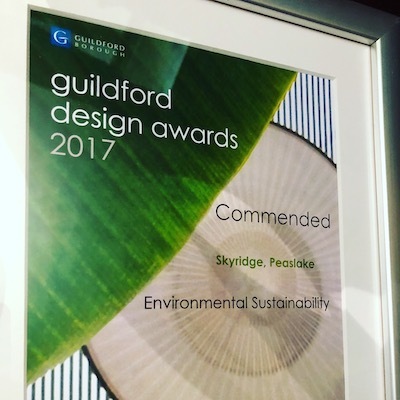 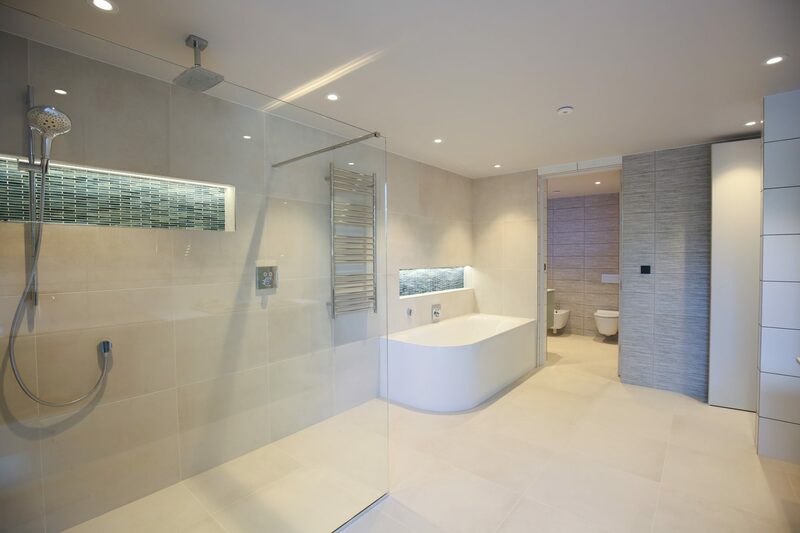 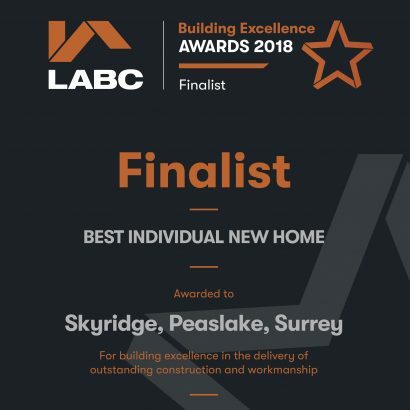 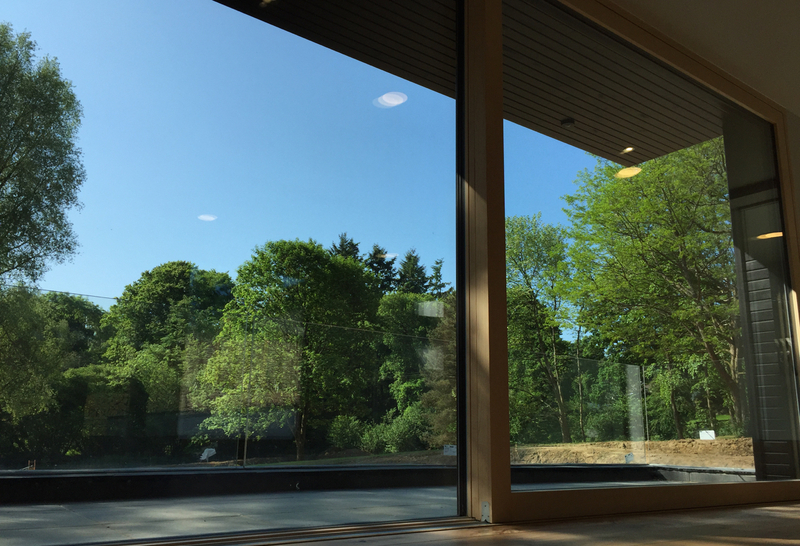 The project received a Guildford Design Award and was Commended for it’s Environmental Sustainability, was Regional Finalist for the LABC Building Excellence Awards 2018 and received a Highly Commended Award at the INCA 2018 Awards. 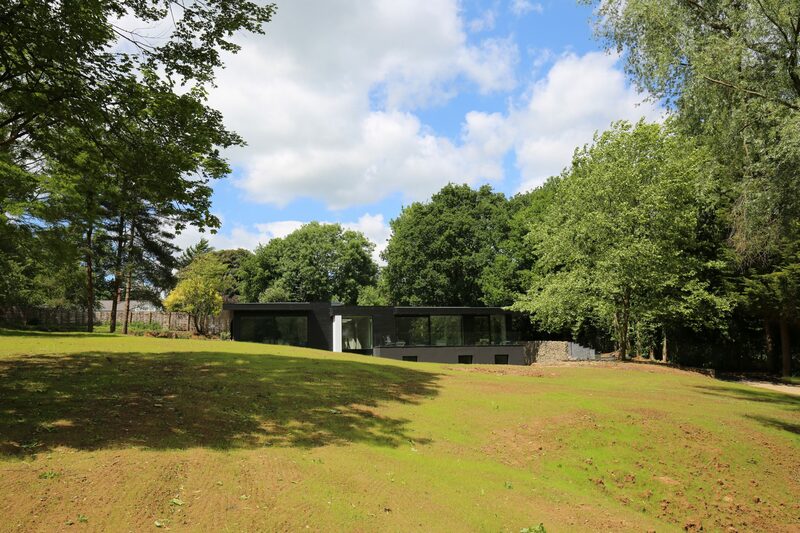 The new contemporary low energy home sits partially submerged into the land. 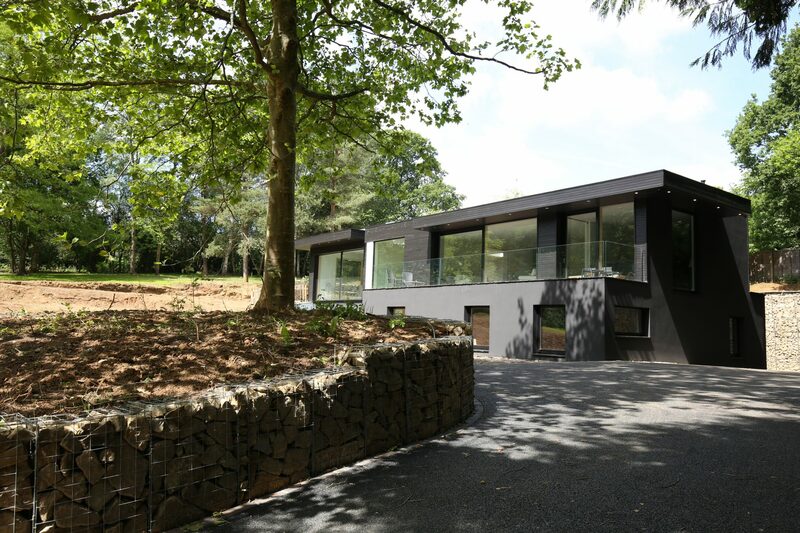 The accommodation is arranged with the kitchen, lounge and other living areas on the upper floor of the home, providing spectacular views across the site and beyond. 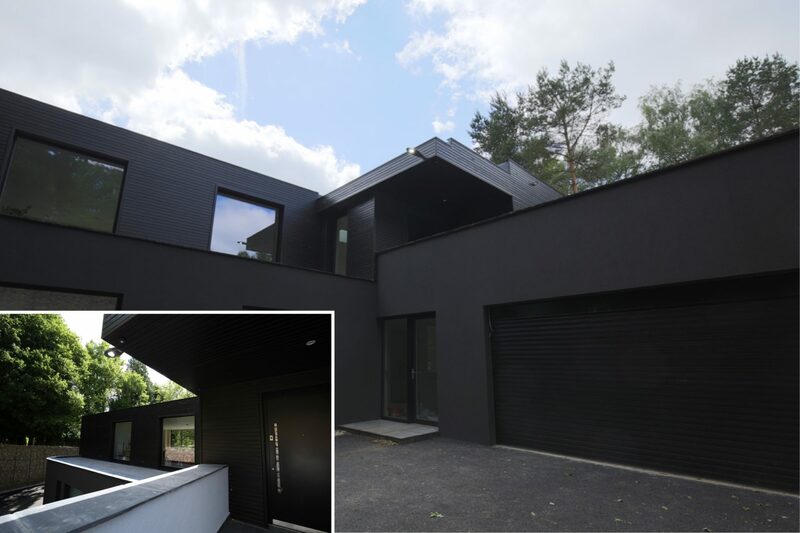 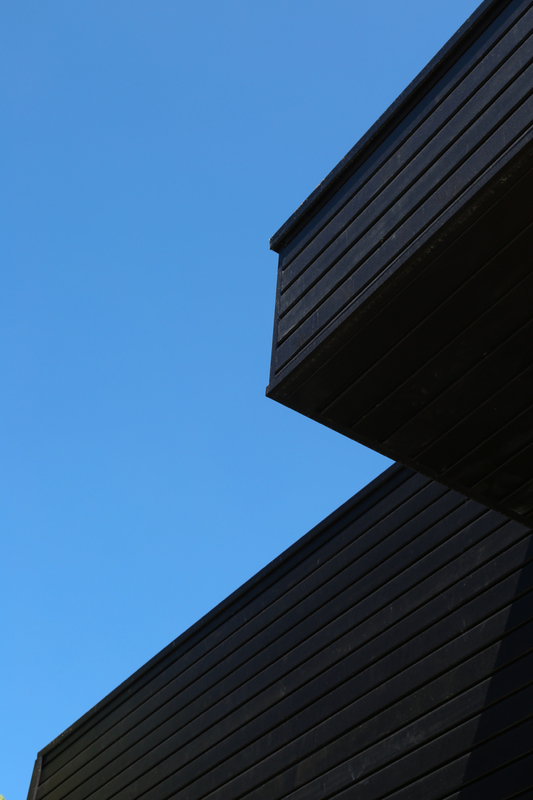 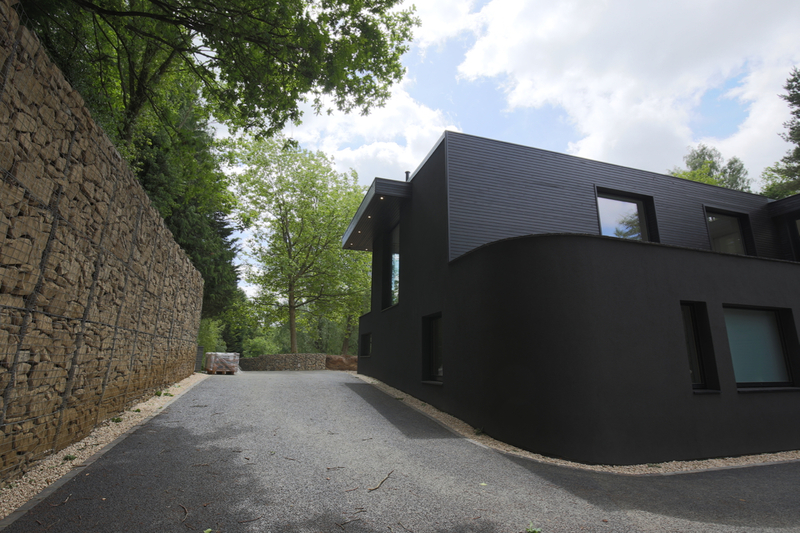 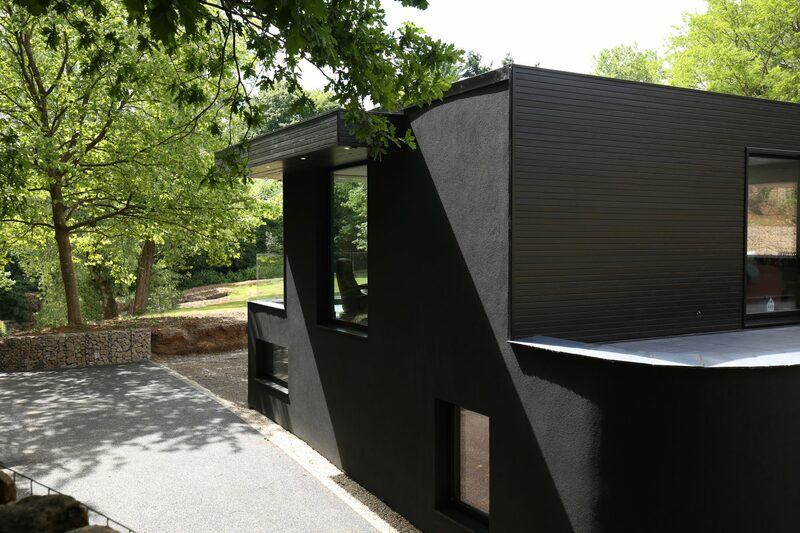 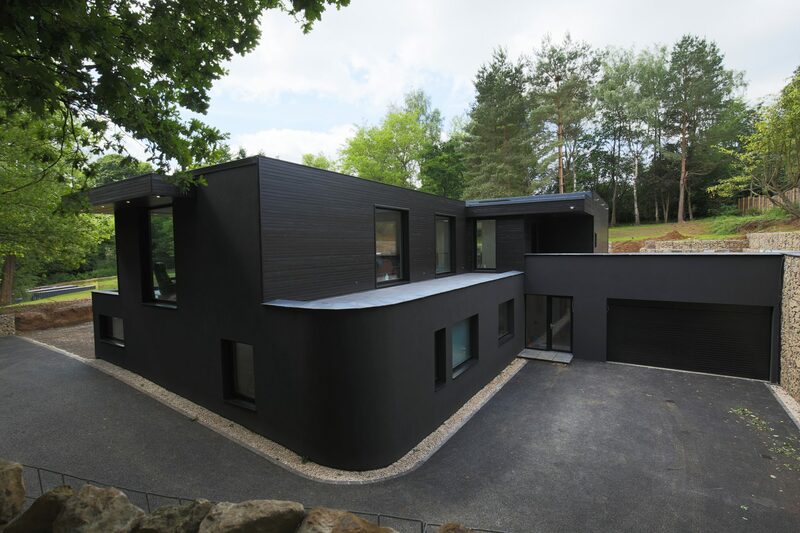 The dark external finishes were chosen primarily to help the building blend into it’s surroundings but also to create a striking and dramatic effect which adds to visual drama of the home. 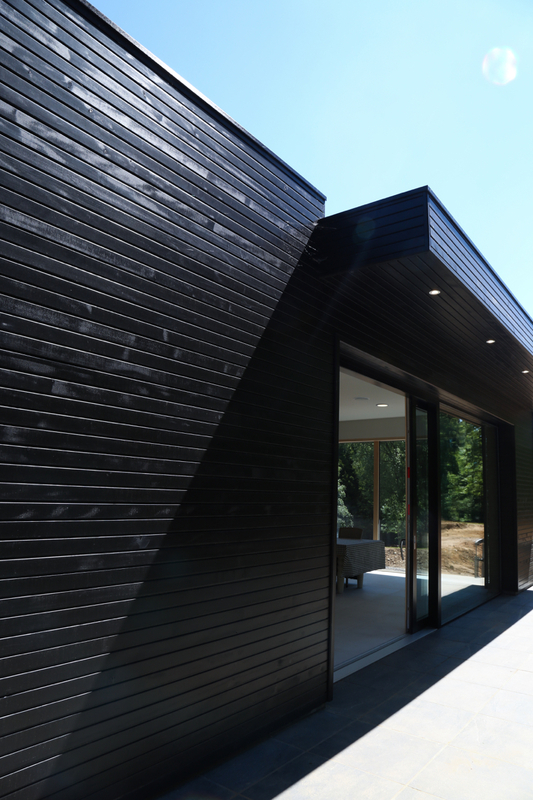 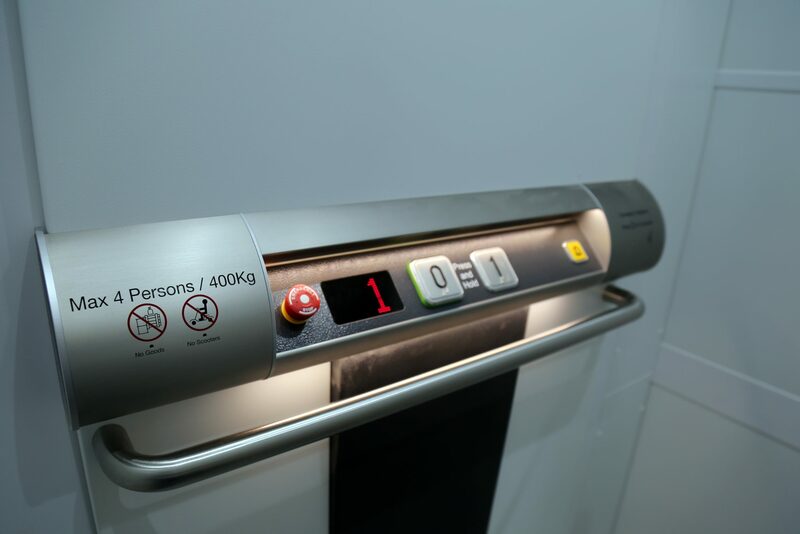 In conjunction with the solar PV panels and inverters a Tesla Powerwall is installed which maximises the usage of energy generated by the solar panels. 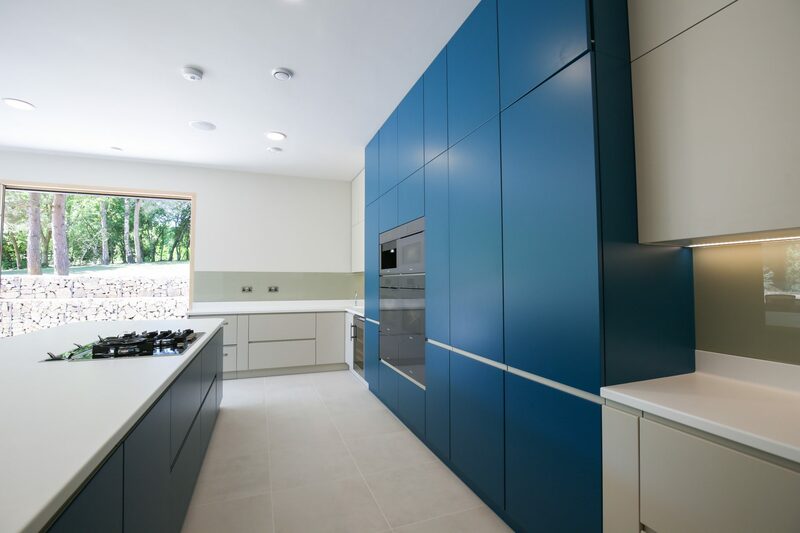 Bespoke Italian Designer Kitchen with moulded Corian work surfaces and sinks. 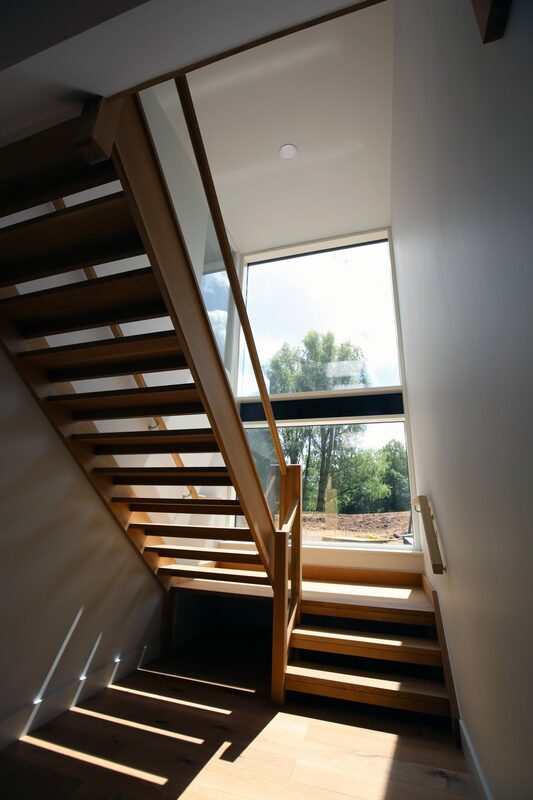 Oak Staircase, hand made locally. 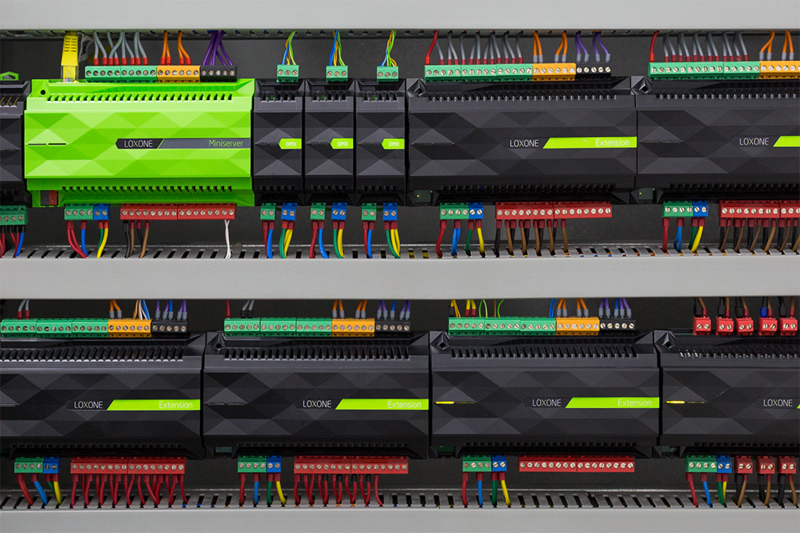 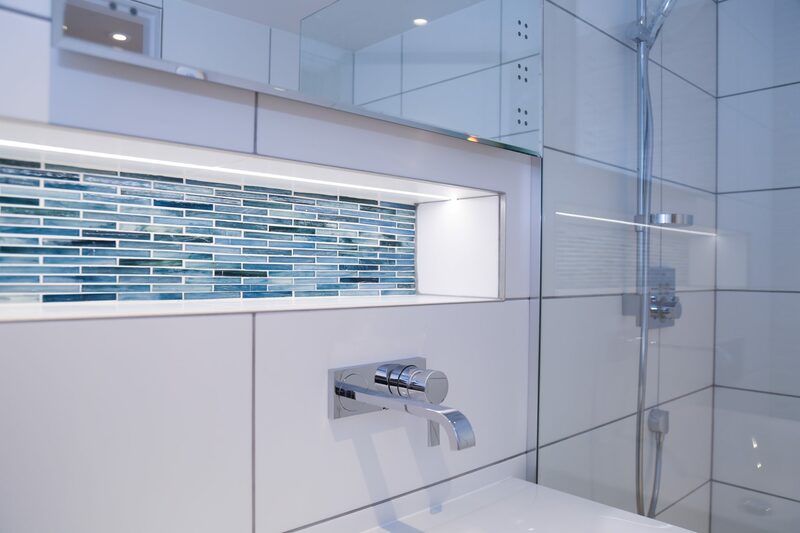 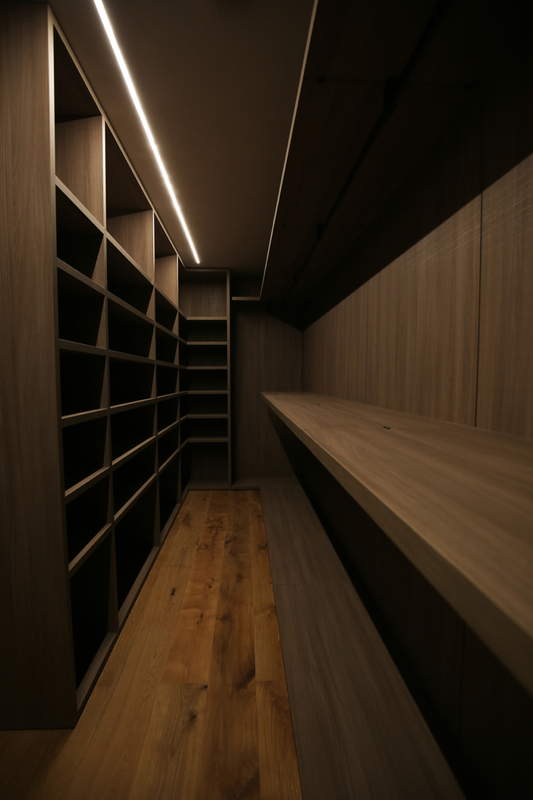 Loxone system provides Smart Home Automation and Lighting control. 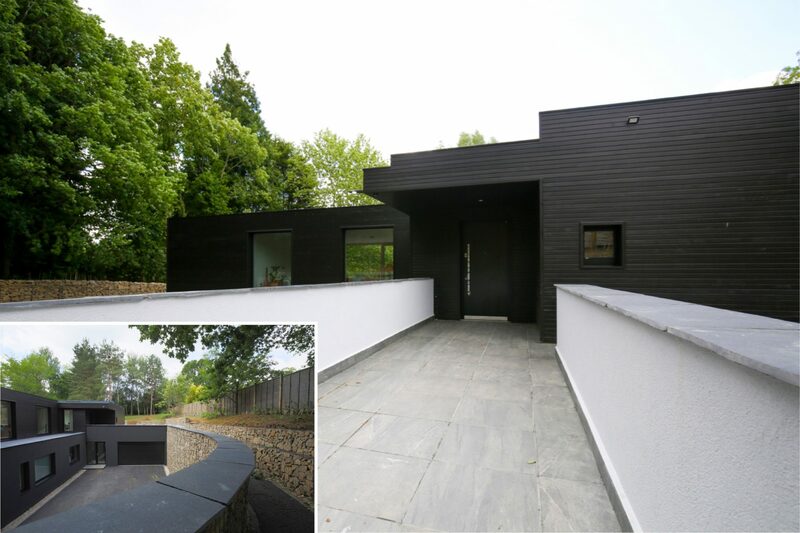 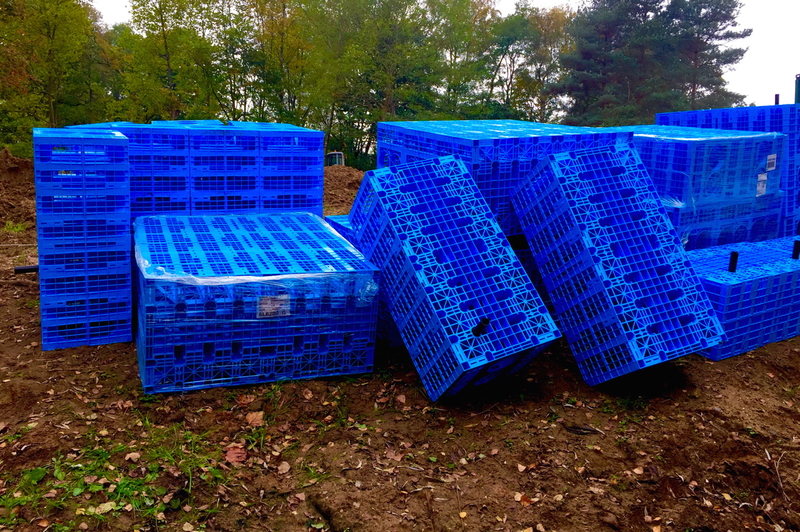 The gabion retaining walls were constructed with recycled aggregate and faced with sandstone from the local quarry. 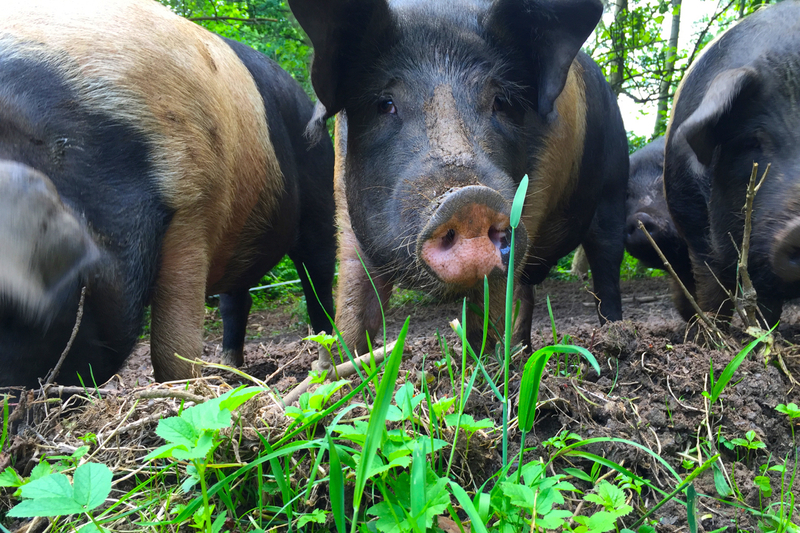 In order to manage the land we enlisted the help of six Saddleback piglets. 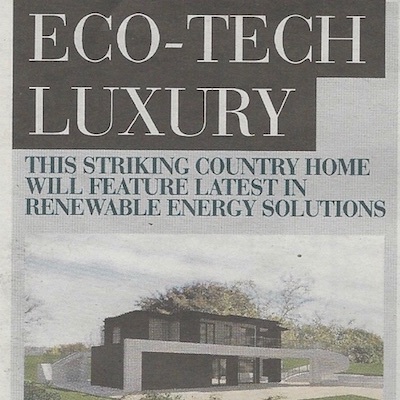 The new home is supported by a Sustainable Drainage and Water Treatment System.